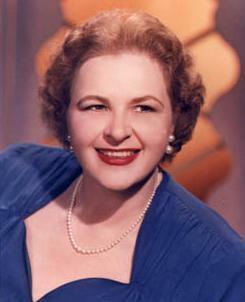 During World War II, the popular radio star Kate Smith used to end her daily broadcasts by saying, “And remember … if you don’t write, you’re wrong!” Kate Smith, who was a major supporter of the war effort in general and of American troops in particular, was prodding those at home to send letters to soldiers and sailors. I don’t know whether Kate Smith introduced that expression, and that inspired a songwriter, or the other way around. 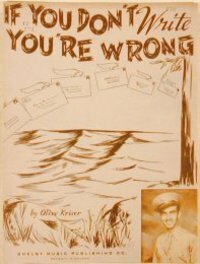 I do know that a writer named Olive Kriser wrote a song by that title in 1943, and it, too, urged families and friends to write to the troops. For me, that phrase has always evoked what I imagine was a melancholy aspect of the war years: young men and women suddenly separated from their families, friends, neighbors, familiar surroundings, everyday routines, and hurled into the maelstrom, wondering about the folks, about ever seeing them again, longing for a mundane conversation around the kitchen table, a cheese sandwich made by Mom. And yearning, yearning, for a word from home. That was the real-life experience of tens of thousands of young people, including Joseph Farris of Danbury, Connecticut, who was drafted, trained, and shipped off to the fighting fields of France and Germany shortly after leaving high school. 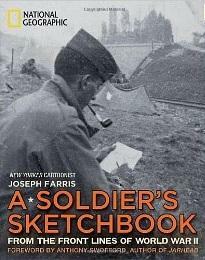 Farris, who has become a very successful cartoonist and illustrator, has recreated his experience in A Soldier’s Sketchbook, an elegant volume published by National Geographic. Farris got lots of letters, but in this book, he reproduces many of the letters that he wrote to his parents and two brothers during the three years, beginning in May 1943, that he spent in the United States Army. The book also contains facsimiles of some of those letters and of other documents, photographs of Farris and some of his colleagues, and watercolors and drawings that he did while he was in service. Farris provides a narrative in which he demonstrates how he pulled his punches in his letters home, both because military censorship sharply restricted what combatants could write about and because he didn’t want to worry his family. The folks wouldn’t know until it was well over that Farris — who wound up heading a heavy machine-gun platoon — came under heavy fire, watched his fellows soldiers being blown away, shivered in the cold and wet of the foxhole, and confronted the fact that any hour could the last in his brief life. By the time Farris got into combat, Italy had surrendered, Athens had been liberated, France had been invaded, and the German siege of Leningrad had been broken. The jig was up for the Third Reich. So although he experienced the worst of the war, he also had some less lethal duty, moving through towns in France and Germany and temporarily occupying houses that were far more comfortable than a hole in the ground. Throughout his military service, Farris thought about his plans for a career in art, and often asked his family to send him supplies. His work has appeared in the New Yorker and in other major publications. You can see many of his cartoons and illustrations by clicking HERE. For another interesting aspect of World War II, click HERE to read about the Women’s Land Army. The site includes many letters written home by Genevieve Wolfe, who was one of a group of 40 young women from West Virginia who traveled to a camp in Ohio to provide labor needed on farms in the northern part of the state. It wasn’t until I clicked on The New Yorker cartoons that I realized I already “know” Farris’ work. There were a couple of cartoons I remembered, and I recognized his signature. I always take TNY straight from the mailbox and look at the cartoons. When I was in Liberia, the great joke was that if you reached a point where you didn’t understand their cartoons any longer, it was time for a trip back to the States. We’ve strayed so far from the days when keeping others from worrying was considered a virtue. I’m really glad Farris made it through relatively unscathed.